The Governments of India and Myanmar implemented the Land Border Crossing Agreement, marking the occasion with the simultaneous opening of the Tamu (Myanmar)-Moreh (India) and Rihkhawdar (Myanmar)-Zowkhawtar (India) international border checkpoints. Signed on 11 May 2018, the opening of the India-Myanmar land border crossings allows people from both countries and third countries holding valid passports and visas to cross the border and travel to any point of Myanmar or India. The Governments of Myanmar and Nepal are planning to sign a Memorandum of Understanding to boost their economic ties and increase trade. According to Myanmar Vice President U Myint Swe, Myanmar is seeking to increase its export volume to Nepal. Demand for imported beans and pulses from Myanmar is on the rise in Nepal. Providing a boon to relations between India and Myanmar, Indian Railways delivered 18 AC/DC 1350 horsepower diesel electric locomotives to Myanmar Railways six months ahead of schedule. Funded with an Indian line of credit, the fuel-efficient locomotives are fitted with micro-processor control-based systems, equipped with the latest technology, and runs at a maximum speed of 100 kilometers per hour. India's Union Cabinet has approved the Land Border Crossing Agreement between India and Myanmar. The Agreement will facilitate regulation and harmonization of already existing free movement rights for people in the border areas, as well as movement of people on the basis of valid passports and visas, encouraging economic and social interaction between the two countries. Bilateral trade between India and Myanmar increased from nearly $11.9 million in 2013-2014 to around $22.2 million in 2015-2016, according to India's Ministry of Commerce and Industry. India's Act East Policy was instrumental in promoting trade growth between the two countries, deepening economic cooperation and expanding trade through India's Northeast region. The Government of India is planning to develop an economic hub in the port city of Sittwe, Myanmar, that will help boost India's connectivity to Southeast Asia. Talks to implement a regular bus service between India and Thailand through Myanmar are underway as part of a Motor Vehicle Agreement being finalized by India, Myanmar, and Thailand (IMT). The service would run on the 1,400 kilometer IMT Trilateral Highway linking South and Southeast Asia. India and Thailand have agreed to speed up talks on the India-Thailand Free Trade Agreement and bilateral investment treaty. The two countries also agreed to fast-track infrastructure projects linking each other, such as the Asian Trilateral Highway connecting India and Thailand through Myanmar. A total of 69 bridges will be built by the Government of India along a major road link of the India-Myanmar-Thailand (IMT) Trilateral Highway in Myanmar. These bridges will be part of the route for a proposed bus service linking Imphal, capital of the Indian state of Manipur, with Mandalay City in Myanmar. The project is estimated to cost around $56 million, and is due for completion in mid-2019. 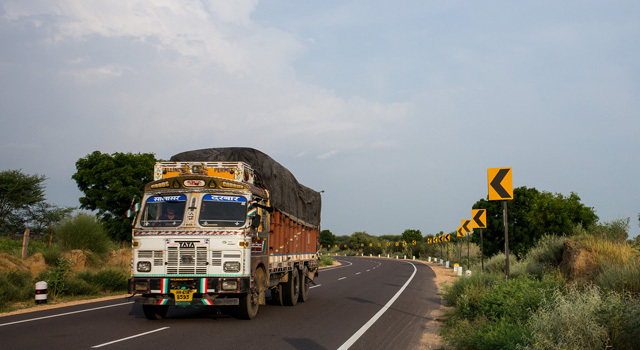 Trial runs to test the effectiveness of the India-Myanmar-Thailand (IMT) Motor Vehicle Agreement and identify implementation-related issues will begin by December 2015, according to India's Union Road Transport and Highway Secretary Vijay Chibber. Protocols for the IMT MVA are currently being finalized, to be signed by early April 2016. The Myawaddy-Thin Gan Nyi Naung-Kawkareik section of the Asian Highway linking India, Myanmar, and Thailand (IMT) has become operational, reducing travel time between Thin Gan Nyi Naung and Kawkareik from 3 hours to 45 minutes. This section was constructed beginning 2012 with the assistance of Thailand, and is part of the Greater Mekong Subregion Program.